“The Doberman” sleeps in Moscow. 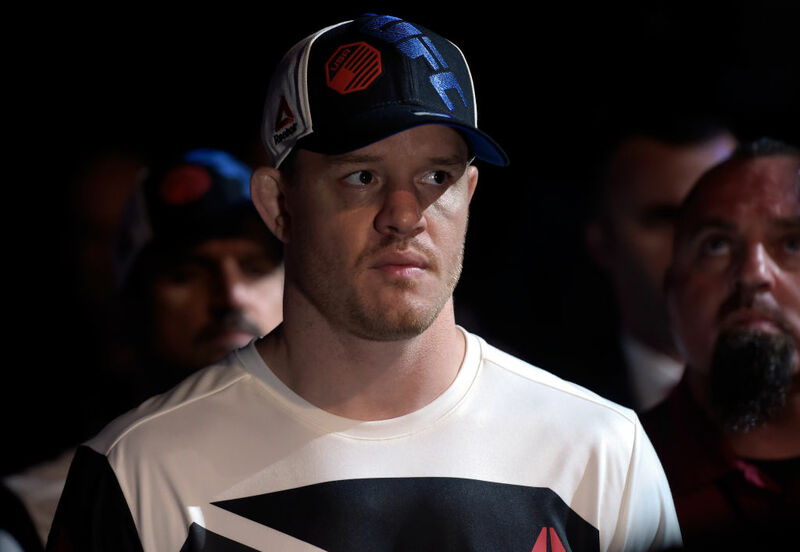 CB Dollaway wasn’t sure that would be the case this week, as he went through opponent after opponent in the lead-up to this Saturday’s UFC Fight Night event. But after nearly 12 years as a pro, Dollaway learned that it’s best to control what you can control, and let the rest figure itself out. So when he lost his original opponent, Omari Akhmedov, due to injury, and wasn’t sure if he would get a replacement, he left his Arizona home and went to the Grand Canyon. “I told my agent if they do come up with something, just accept it,” said Dollaway, and when he came back from a couple days away, he had a fight with Artem Frolov. That was a week ago, September 6, the day before Dollaway was leaving for Moscow and when he was about to find out that now Frolov was out as well. Told by the UFC that he would get a fight this weekend, he got on the plane. Soon after leaving Arizona, he had a fight against newcomer Khalid Murtazaliev. Oh, what a long, strange trip it’s been, but a typical one given what Dollaway has been through the last couple years. Dollaway was scheduled to face Francimar Barroso at UFC 203 in September 2016. It was a chance to snap a three-fight losing streak in his home state of Ohio and get back on track. Then the day before the fight, an elevator malfunctioned, seriously injuring Dollaway’s back and forcing him from the Barroso bout. Fight Night Moscow is a FIGHT PASS Exclusive! Start your free trial now! He wouldn’t return to action until July 2017, when he decisioned Ed Herman. In March, Dollaway was back, and he had a solid first round against Hector Lombard until Lombard cracked him after the round ended. Lombard was disqualified, Dollaway got the win, but not the way he wanted it. Yeah, it’s been a little weird. But now he’s back, with a two-fight winning streak and a chance to make it three this weekend. It’s not a bad place to be in for the 35-year-old middleweight veteran. Most importantly, Dollaway just wants to fight. That’s not surprising after what has amounted to a 12-week training camp for this bout. Suffice to say he wasn’t scouring YouTube for clips of Frolov or Murtazaliev. Even if it’s in Russia, facing a Russian?